Theatre Puget Sound, Top Floor Seattle Center Armory Studio D Armory 305 Harrison St.
Are you a composer or songwriter? Or someone who’s looking to work with a composer or songwriter? Or someone who just wants to hang out with composers and songwriters? We want to meet you! 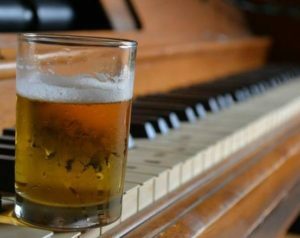 Seattle Composers Alliance invites you to a casual gathering at Tavern Hall in Bellevue, beginning at 7:30 PM on Wednesday, March 13th. See you there! Invite your friends! Due to the weather, our February meetup is cancelled. But don't dismay, we have another one coming on March 13! Join us at Tavern Hall in Bellevue. Until then...keep warm!